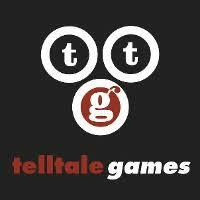 When the news broke some days ago that the popular video-game studio, "Telltale Games," was abruptly shutting down, I was saddened. They made some damn good story-games whether it was the breakout hit of the first, "The Walking Dead," their take on, "Fables," an original, "Batman," story, "Tales from the Borderlands," or a variety of other words good and bad. Then I read how basically it was incompetence of the executives that resulted in the company hemorrhaging money, that employees were routinely mistreated, and that everyone was getting zero severance and had less than a month's worth of their health insurance before it expired as well. Upon seeing that, I was enraged. People often don't think about how behind the creation of video-games we have none other than just that--people. Human beings work sometimes terrible hours in jobs with very little benefits or guarantees to give us an amazing and enjoyable product to play. Despite efforts to unionize the game industry it has been a constant struggle for the folk behind video-games to get much in the way of rights. This most recent fiasco only goes to show how much, "Job creators," actually care about the employees they trample upon in their efforts to maximize profits. It's a huge mess and I truly wish the best for all the employees affected (outside of the aforementioned awful execs who should be ashamed and are in fact now being sued). Hopefully this can spur further discussion on the rights of workers in all work-fields as well as the production of video-games.